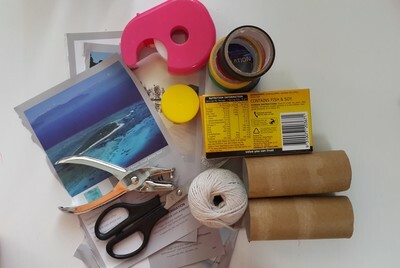 This is a great craft for kids to play around with. 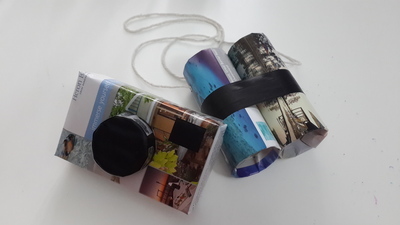 Using only recycled boxes and toilet rolls, make these easy camera and binocular toys and let the kids unleash their imagination by going on some amazing exploration and discoveries. 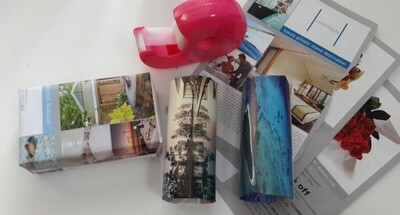 Wrap/cover the box and toilet rolls with the papers. 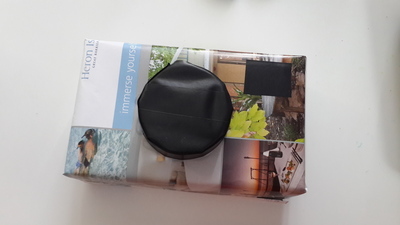 Use black tape to cover the bottle cap and glue in the centre of the box. Cut another piece of tape and place on the upper right corner. 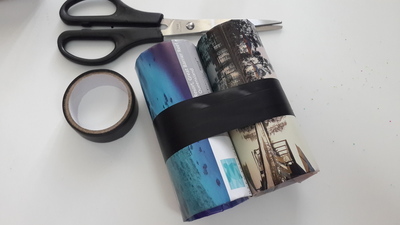 Tape the two toilet rolls together with the black tape. Punch two holes, one on each side of the toilet rolls. Make two knots with the string and insert in the holes. The kids are now ready to go on some exploration trips.